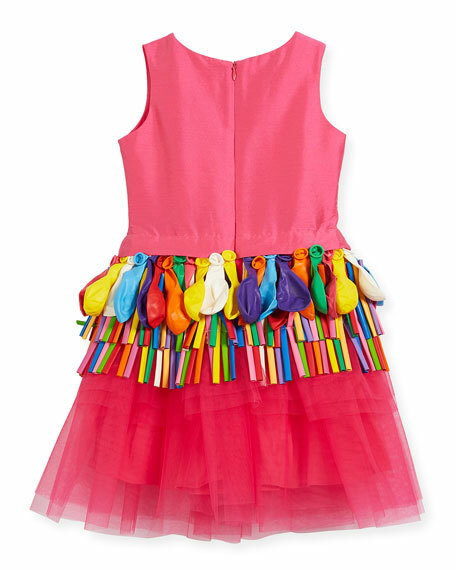 Charabia dress with tiered balloon trim around waist. 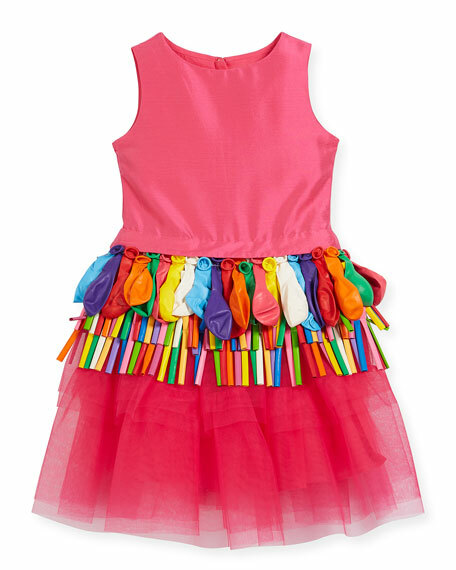 Poplin upper with tiered tulle skirt. Crew neckline; hidden back zip. 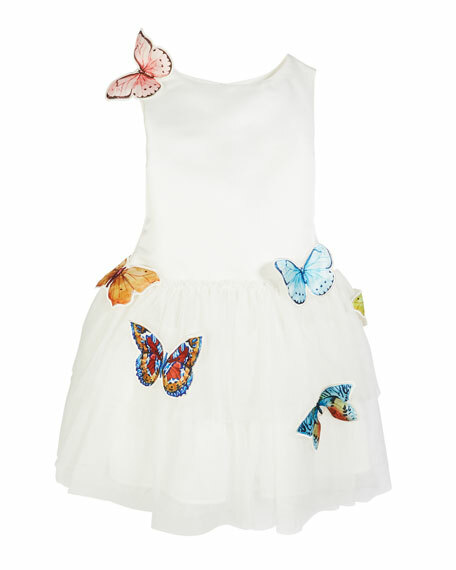 France's designer children's clothing label Charabia was established in Paris in 1992. Charabia kids clothes are noted for innovative and original styling. Charabia's designs represent an entire way of life that begins with a child's birth. Charabia offers charm, refinement, and elaborate details with its clothing made in France. Charabia kids clothes are designed with amazing detailing and quality, making the perfect dresses for every special occasion. For in-store inquiries, use sku #2514481. 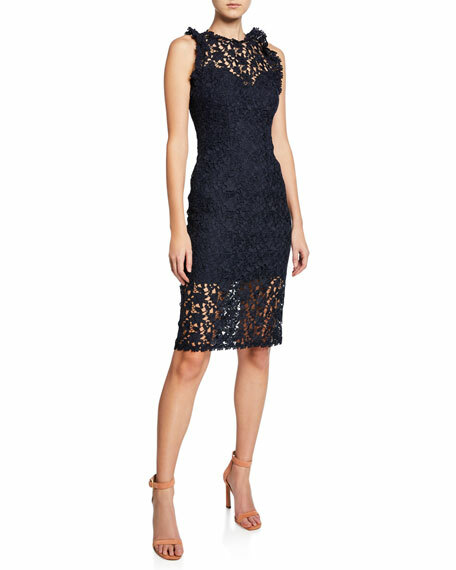 Alice + Olivia "Diane" floral lace cocktail dress. Sweetheart neckline. Sleeveless. Bodycon silhouette. Midi length. Tiered high-low hem. Exposed back zip. Polyester shell. Polyester/spandex lining. Imported. Exclusively ours. 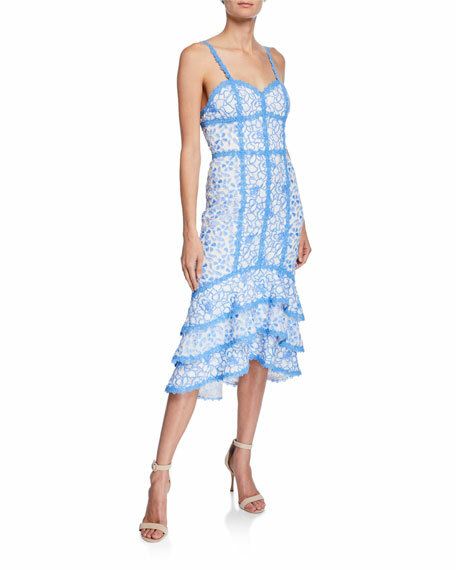 Badgley Mischka Collection halter dress with multicolor tassels. Halter neckline; racerback. Sleeveless; cut-in shoulders. Sheath silhouette. Hidden back zip. Back princess seams. Multicolor tassel hem. Mini length. Polyester/spandex. Imported. Charabia "Nelly" mixed-media dress, featuring a satin bodice, 3D floral appliques, and tulle skirt. Round neckline. Sleeveless; wide straps. Dropped waist. A-line silhouette. Tiered hem. Hidden back zip. Polyester; tulle: nylon. Imported.